This Special Issue brings together an eclectic set of papers that each address a central question: how we can build capacity for living and organising in ways that align better with natural systems and imagine ecologically sustainable and socially just alternatives? 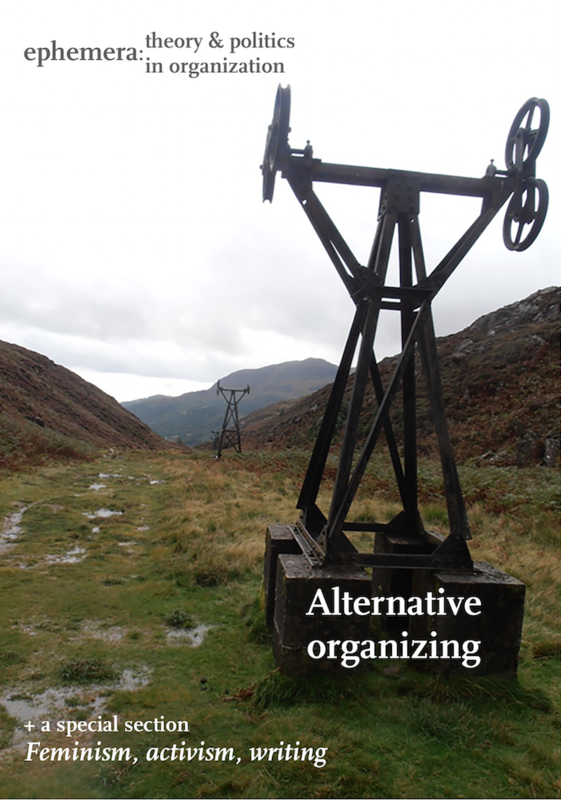 They look for answers in transformational but micropolitical processes that could be the foundation for ways of being and organising focused on social and environmental flourishing. Our contributors explore how the capacities of such initiatives can be built through nurturing ecologies of support, including the ways in which we research them. Furthermore, they point to the development of values and ethics that feature openness to possibility and fluidity and which reject top-down, shallow sustainability frameworks that inevitably lead to business as usual. A different moral logics is called for that includes a revaluation and reorientation of the ways we live with other humans and within the biosphere. Overall, these papers provide thought-provoking examples, ideas, reflections and conceptualisations of what ‘being’ and ‘acting’ alternatives might entail. One particular – and, perhaps, particularly vibrant – source of social and organizational alternatives is that of feminism. Exploring feminist capacities for writing, acting and organizing differently within academia and in society at large, the special section 'Feminism, activism, writing!' brings together various results of a seminar, held at CBS in November 2017. Contributions not only provide feminist alternatives to the dominant structures of patriarchal organizations (e.g. universities), but also explore alternative writing processes as well as formats. Thus, the section provides suggestions as to what feminist organizing might look like – in actions and words.